Oh how El Nino has been a blessing to us on the coast of New England this winter. A year ago at this time, there were still piles of snow on most street corners among the Island villages and the temperatures had not yet touched 50 degrees! However, despite the brief visit of some snow recently, not only are the daffodils sprouting, but trees and plants are showing buds with the generally mild temperatures. So with the early warmth of the season upon us, the customary spring stirrings for real estate activity are afoot too. And since the first quarter of 2016 has closed, let's examine the real estate activity on-Island thus far and allow us to offer our comments for your consideration. As noted, the off-season has been a welcome respite from the harsh winter of only a year ago. Aside from a couple of 'normal' snow events, the winter was relatively mild. And with summer now firmly on the horizon, coupled with the carry forward of positive sentiment toward vacation home acquisition from the fall, we anticipate some very busy weekends in the field with prospective buyers pursuing the acquisition activities toward finding an Island property before the arrival of our summer "high-season". Continuing on with the strong market dynamics of last year, many of the same variables we espoused during the past two seasons continue to exist here in early 2016. Specifically, attractive lending rates are still available; inventory levels will begin to increase from the off-season lows coupled with pent-up demand from prospective buyers holding improved confidence toward second-home markets. It is these factors that are expected to again drive this season's activity in part, or whole. Barron's published an article on March 28th discussing the Top 20 Second-Home Resorts, and Martha's Vineyard placed 6th, nicely squeezed in between Kiawah Island, SC and Vail, CO. Other regional competition included the Hamptons, NY placing 4th but interestingly, no mention of Nantucket. As we noted in our Year in Review edition, there were 444 residential properties sold on-Island with the vast majority being acquired for seasonal, vacation use. The National Association of Realtors (NAR) noted that following the banner year nation enjoyed for vacation home purchases made in 2014, median sales prices for purchases in 2015 jumped another 28%. The chief economist for NAR, Lawrence Yun, suggested that the expanding pool of buyers nationwide amidst a dwindling number of available properties led to a tighter supply and therefore increased sale prices. With the spring market now upon us, it remains to be seen if the Vineyard will feel similar effects from lower numbers of quality inventory during the course of this year after the strong transaction volume we conveyed in 2015. Inventory has begun to increase within each price segment from the holiday lows of approximately 460 total units to 517 as of this writing. A total of 82 residential properties were sold among the Island towns within the First Quarter this year, which were only 10 fewer than were sold in the First Quarter of 2015. Specifically, home sales were found as follows: Edgartown-25, Oak Bluffs-21, Vineyard Haven-14, West Tisbury-11, Chilmark-7, and Aquinnah-4. Interestingly, median sales prices on-Island for Q1 decreased approximately 2% from $705,000 to $691,865 compared to the same period in 2015, while average prices have also decreased by 30% from $1,621,663 to $1,132,394 during the same period. Please bear in mind that this comparison is only relative to the same period Q1 2016 to Q1 2015 and we do not expect this general trend to continue throughout the current year. On average, residential property sales thus far have captured nearly 95% of their final asking prices and garnered 158% of their respective tax assessments. 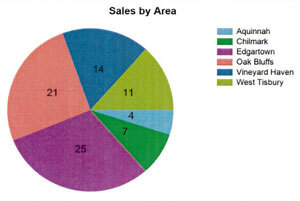 However, the strength of this correlation remains highly subject to factors such as condition, amenity, scarcity and uniqueness of the subject properties sold. As an independent franchise that is associated with a national brand, we are often introduced to proprietary market analysis and industry trends. 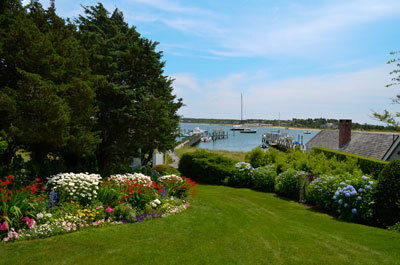 We've thus learned that resort-vacation-destination markets like Martha's Vineyard have continued to enjoy consistent attention and acquisition. So for those who have vested themselves in the search for Island real estate, 2016 may again prove to be an idyllic year to make the commitment toward acquiring an Island property. And for home owners to consider, because the better conditioned and more realistically priced inventory has been consumed in 2015, this season could prove to be an opportune time to offer and successfully convey Island property for sale. Please contact us to discuss performing a market analysis and Broker Price Opinion of value for your property. With 30 years of market experience, we are able to counsel our clients well.